The G-man has done it again. Garth Brooks loves interacting with his concertgoers. In the last few months, he has invited a teen onstage, given his guitar to a fan and serenaded an 89-year-old. 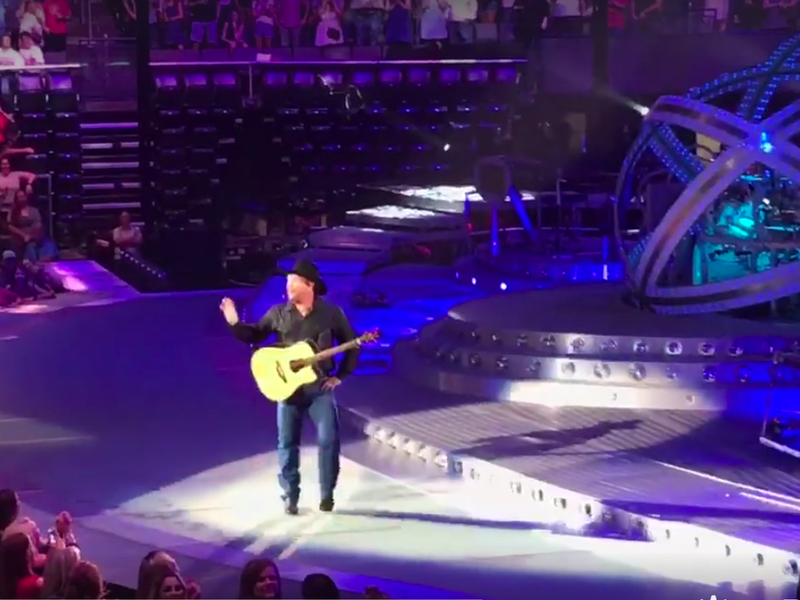 At his show in Oklahoma City on Saturday (July 15), Garth offered to pay for a couple’s upcoming honeymoon. Check out the video via Chaz Cook’s Facebook page. Check out the video courtesy of Bridgette Miserendino’s Facebook page.